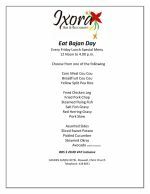 Golden Sands Hotel presents its Eat Bajan Day Lunch every Friday. 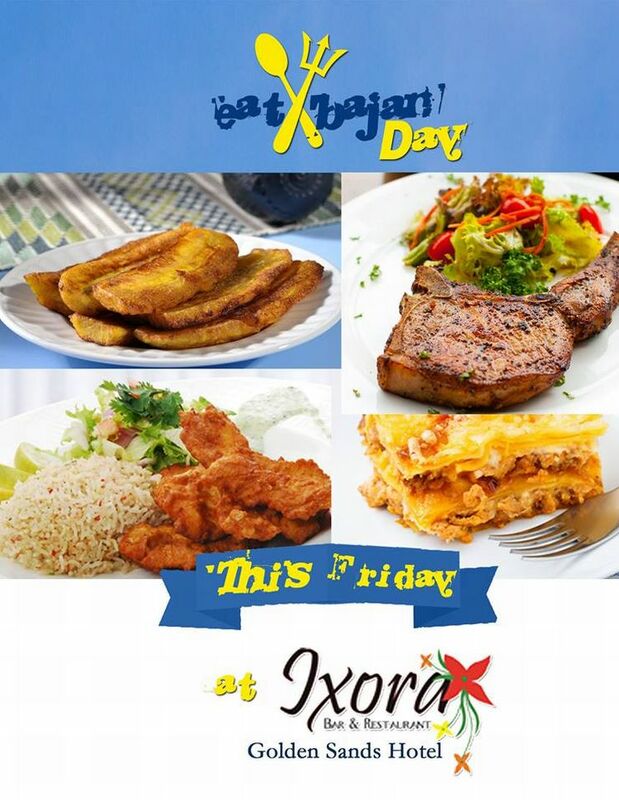 The menu is all about serving you local, fresh, flavorful Caribbean Cuisine. 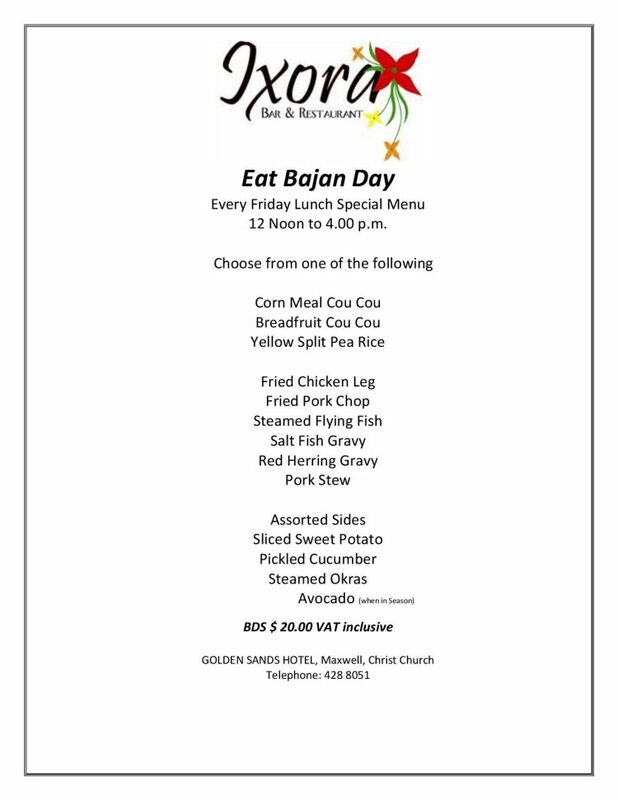 See attached flyer for full menu. The Golden Sands Hotel is on the south coast main road not far from Oistins. 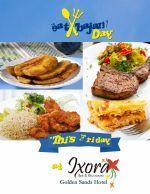 The lime takes place in the Ixora Bar and Restaurant.